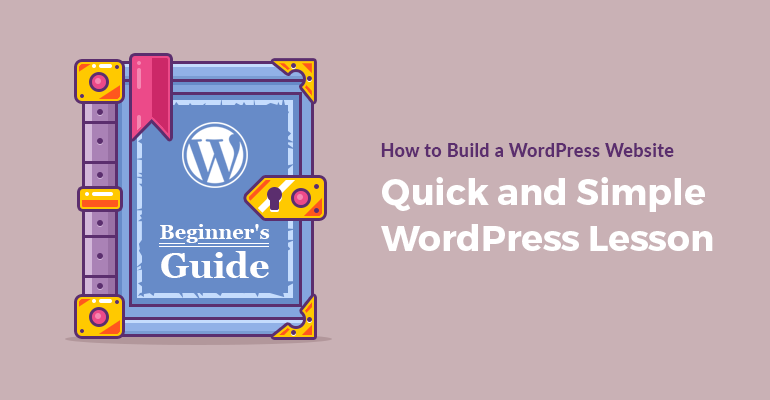 When setting up and managing your WordPress website you were probably thinking about the plugins you need to start with. Something you can install to ensure your website is protected, fast-loading, SEO-optimized and so forth. It’s easier to think about customization and custom functionality when the rest of the work is already done. You are in luck, we’ve done that work for you! 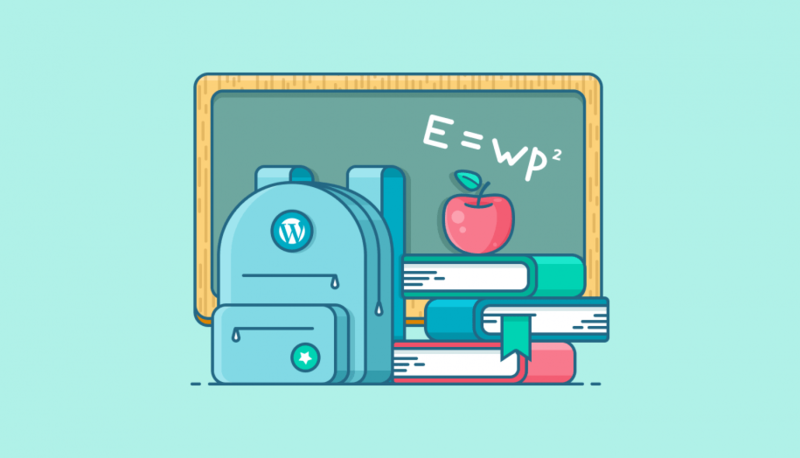 In this hand-picked collection you’ll be presented with a list of powerful plugins you need to use to handle your WordPress website on different levels properly. To be more exact, for general maintenance purposes, SEO and marketing. All of them are free versions of plugins that are marketing leaders in their niche; trusted and used by thousands and millions of WordPress users. Say hi to our heroes. The plugin will help you create a backup and restore your site easily and safely. It’s the most highly ranked backup plugin on the official WordPress repository. UpDraft Plus WordPress plugin is used by more than a million of WordPress users, so you may be sure it’ll serve your WordPress needs on a professional level. Thanks to connection with many cloud services, the plugin lets you send your backups to Dropbox, Google Drive, Rackspace Cloud, DreamObjects, FTP, Openstack Swift, etc. With the Pro version this list is much longer, but even mentioned platforms let you receive and store your backups for free. Some of the main features you’ll definitely like: both files and database backups, site duplicator/migrator to a new location, automatically resumed failed uploads, optional separate schedules for files and databases, ability to encrypt your backups for better security, ability to choose backup or restoration components and much more. This is a kind of a must for your WordPress website. This anti-spam plugin was created by Automattic team (WordPress founders) and is used by more than 3 millions of users. You can use it free of charge for non-profit and personal websites ( approx 50,000 monthly spam checks). However, businesses can proceed with purchasing a commercial license. 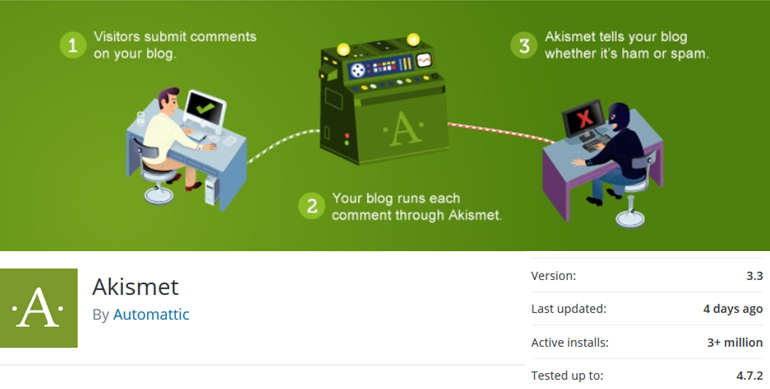 The plugin runs tons of anti-spam algorithms that are applied to all your incoming comments uploaded to Akismet server. Then, non-spam comments are published and suspected ones go to the spam queue. To protect your WordPress website from spam with this powerful plugin, you’ll need to install and activate with API key (you’ll need to sign up). 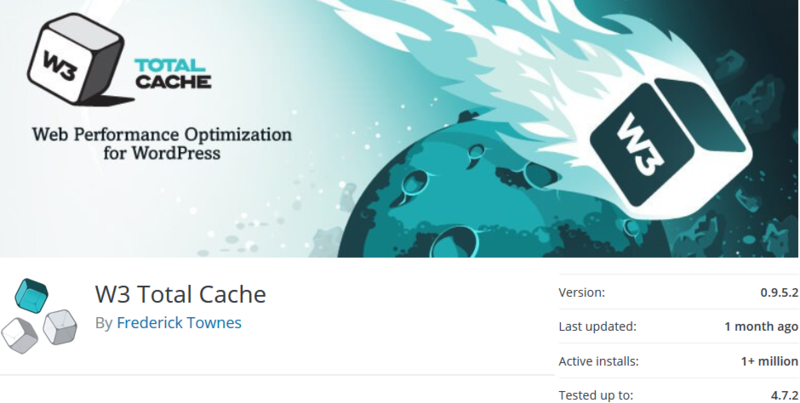 A caching plugin is a need for every WordPress website. Especially if you have a lot of plugins installed. W3 Total Cache is one of the most popular and professional plugin for this purpose. It will help you increase website performance and improve the overall SEO rankings of your site. The main benefit of this plugin is that it’s fully compatible with a variety of hosts – shared, private, dedicated, etc. It works on transparent CDN – content delivery network management with Media library, theme files and WordPress core. It also fully supports AMP (accelerated mobile pages) and SSL (secure socket layer). Security is one of top important things for your WordPress website – no matter if you run a store and work with payments or manage a blog. Your website should be protected. Wordfence security plugin is trusted by millions of people and can solve multiple security problems. The built-in Firewall will protect your website from hacks. Live traffic views will provide you with real-time results of traffic and hack attempts, Threat Defence feed will update firewall rules to fight with new threats, etc. The plugin also blocks common WordPress security threats like fake Googlebots and performs other malicious scans. The plugin comes with lots of malware blocking features, login security, errors monitoring, and guarantees multi-site WordPress security. Security is a top priority thing for your WordPress website, so make sure to check out this plugin and take care of website security today. If you are looking for an easier way to edit your WordPress website and create layouts like a designer, MotoPress WordPress Page Builder is a great plugin to give a try to. It lets you visually create pages and posts using a set of content modules (like text, image, chart and others) that are simply dragged to the page. The rest of the work doesn’t also require any tech skills – you simply stretch the rows and columns, edit your texts, fill in charts, etc. It aims to provide you with a real WYSIWYG experience and give full freedom over content customization. The plugin supports more than 50 content modules including WooCommerce. It’s fast loading, mobile-optimized and work great with any WordPress theme. Properly categorized and easy navigation menu is a very important thing to ensure a happy user experience on your WordPress website. Admin Menu manager lets you easily edit your menu – change position, rename, hide or create custom menus. 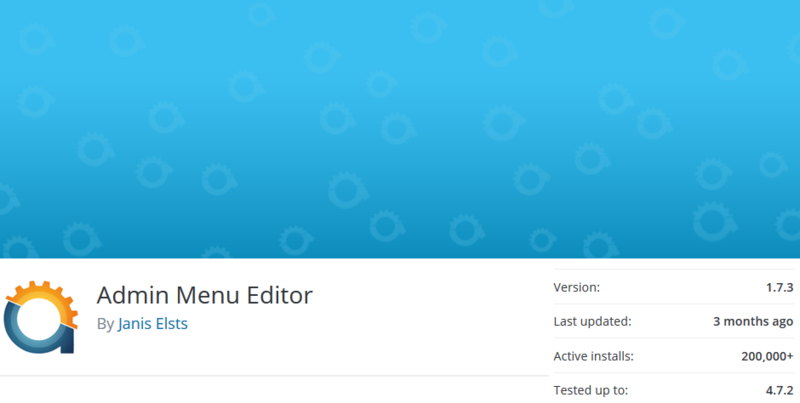 In particular, you’ll be able to update menu titles, URL and icons, CSS classes, so they are completely customizable. One more huge benefit is that you can organize your menu with drag and drop, so this is a very helpful tool for WordPress beginners. You are also free to edit the menu permission (change role), move menus around from main menu to submenu, and create custom menus with external URL. You know that WordPress user roles may be a bit confusing, so it’s easy to grant wrong permissions to people. This plugin aims to simplify your work with changing user roles (except administrator) and giving the right capability to all users in a matter of clicks. You’ll simply have to tick/untick the boxes of capabilities to tie them to particular user roles. You can also add your custom user roles and add its capabilities in the same way. Multiple user roles can be assigned to one user at the same time. Simple as that. You know that the first thing customers pay attention to when choosing a product is reviews. They need those 5 starts and social proof that your product is what they really need. 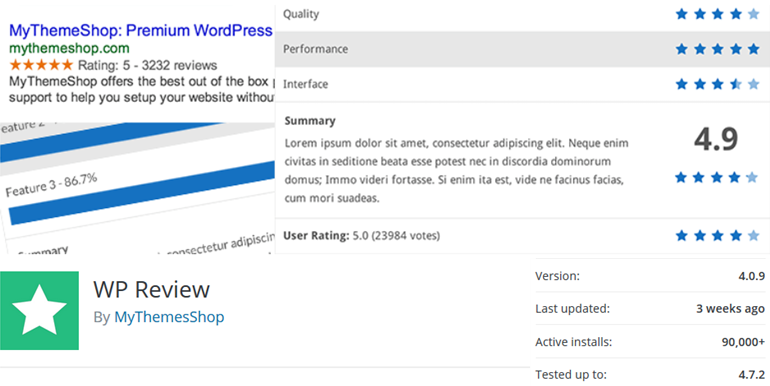 So, WP Review plugin will serve you as a great marketing helper. Initially it was released as a premium plugin, but then a free version was also released. With this plugin you’ll be able to review or rank a product, service, tool, recipe, or whatever content you publish. The plugin is ready for translation, rich for Google snippets, and comes with a variety of colors, so your review is not only informative, but also colorful and attractive. Smart email subscription to your news can get your marketing opportunities a really long way. If you use MailChimp and power your website by WordPress, this plugin will serve a reliable bridge between them. 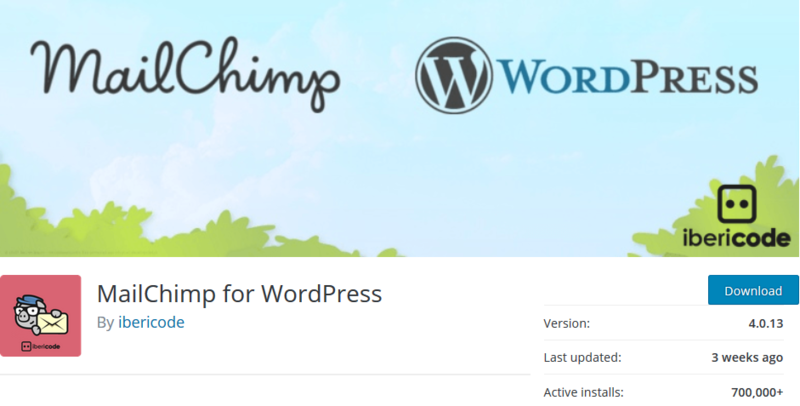 With MailChimp for WordPress plugin you can do that absolutely for free. It will help you get more potential customers and subscribe to different list through various way. This plugin lets you create attractive, mobile optimized and user-friendly sign-up forms for your visitors ensuring a happy user experience. Thanks to integration with multiple popular WordPress plugins like Contact Form 7, WooCommerce, BuddyPress and others, you should not face any compatibility problems running all these plugin at the same time. Another great alternative of this plugin is Another MailChimp widget. Sumo is a feature-rich and well thought-out solution for increasing social media, email and analytic opportunities of your WordPress website. On the official repository it’s now entitled as Free Tools to grow your Email List, Social Sharing and Analytics. The plugin was designed for busy website managers who want to automate their work with marketing tools and grow up the audience with less efforts. 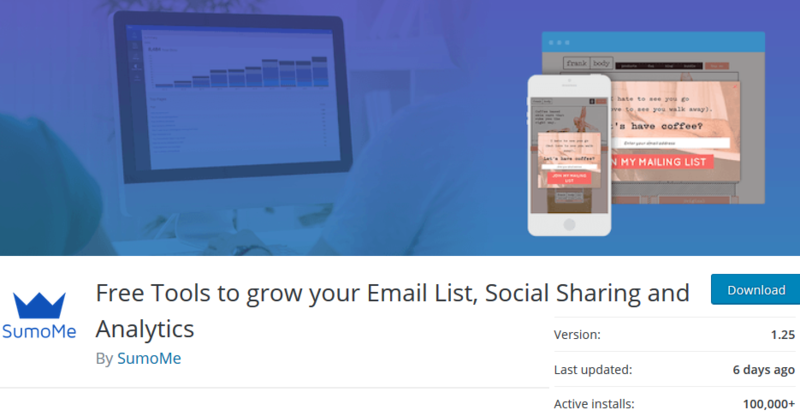 The plugin makes it easier for website visitors to share your content and subscribe to email list. All this is provided by a set of tools like List Builder, full-screen call-to-action, heat maps to to track visitors’ behavior, scroll box for emails collection, smartbar and highlighters, image sharer and more tools. It works with any WordPress theme, mobile and SEO optimized. 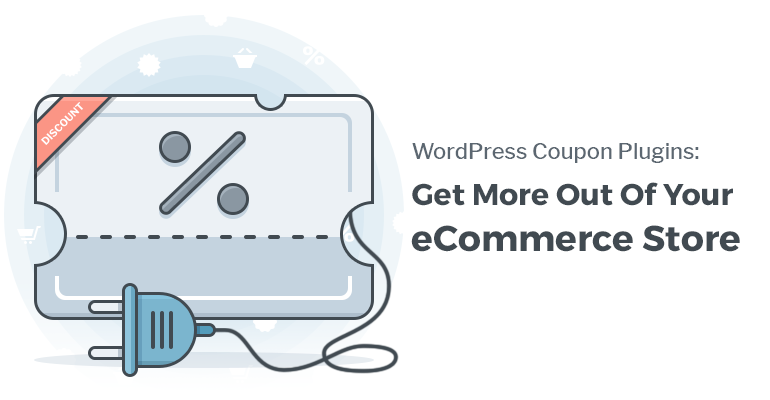 Other core features that made it trusted by thousands of WordPress users are customizable templates for pop-ups, smart email timing manager, smart bars for subscription and attractive sharing apps. Social media made easy to make your business or personal project more recognizable across the net. Of course, writing for social media is a special art, but at least adding some social buttons is a good start. If you don’t have social share buttons on your site, this fact can make your visitors simply confused. One of the great free plugins for this purpose is Simple share buttons adder, which adds attractive and clean buttons to your site allowing readers easily share the content. It comes with a very user-friendly admin toolkit and doesn’t require any special knowledge to bu fully set up. One great feature is that you can even upload your custom design images and arrange them in the way you need. There are a couple of great alternatives of this plugin, but this one is highly rated by many users. As well as ratings, testimonials are another kind of social proof which your prospects are paying a special attention to. Free Testimonials plugin for WordPress made it easy for thousands of website owners to build a stronger brand thanks to good-looking (and of course, positive) testimonials. This widget allows you to present random or ordered testimonials in a slider or list view, where you may show chosen portfolios, quotes, reviews, text with images or videos. Namely, any format will look great in this widget. There are tons of great effects you can supply your widget: carousel, fade or slide transition. You also have an ability to filter your slideshow by categories and tags, post IDs and shortcodes. You may be sure that the widget is fully optimized for tablet and mobile screens, so on-the-go users can also quickly get the idea of your website and products. Haven’t your heard of Yoast SEO plugin? That’s strange if so! This is one the market leading plugins to help you improve your SEO rankings through keywords, titles, and content optimization. 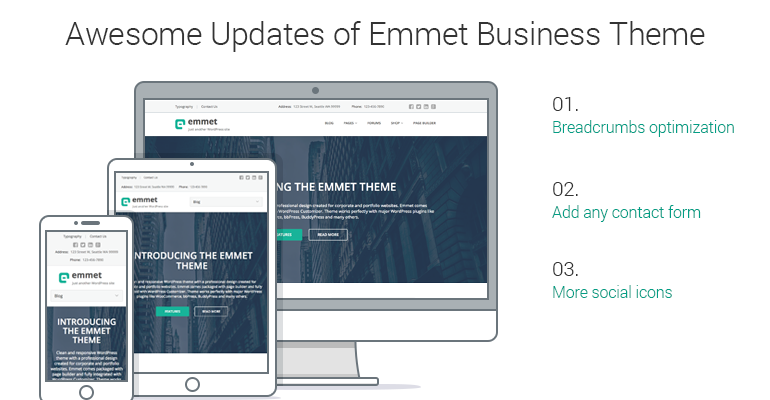 The plugin won’t only do its job, but will teach you the best practices of how to make your website more attractive for humans and search engines. Let’s get down to more details. Here are some key options of the plugin: analyze your content for compatibility with other organic results of search engine and provide with instructions on what should be corrected; full page analysis for using right focus keywords, paragraphs and headings length, etc. With this plugin you’ll also write meta titles and descriptions for all your categories, tags and custom taxonomy archives like a pro. The plugin will also guide your through adjusting some technical stuff for WordPress like permalinks and meta tags optimization. The plugin also comes with professional XML Sitemaps to improve the presence of your website in search results, RSS and breadcrumbs optimization. 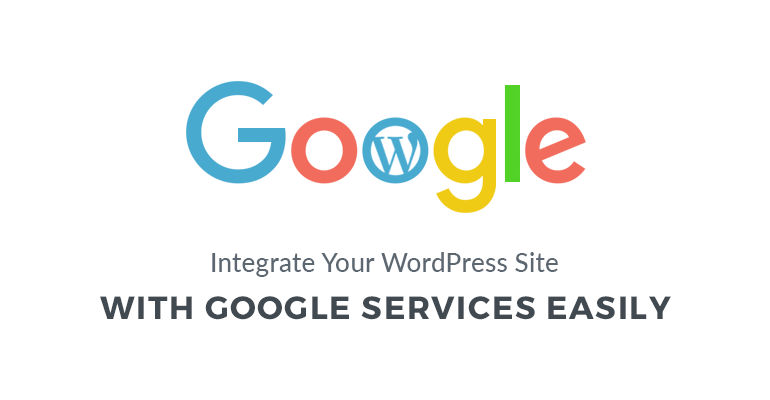 The plugin is multi-site compatible and fully documented. Moreover, guys created a huge knowledge base to help you practice your SEO skills without any professional help. Large media files can have a bad effect on your website performance, so all your images and videos should be optimized. 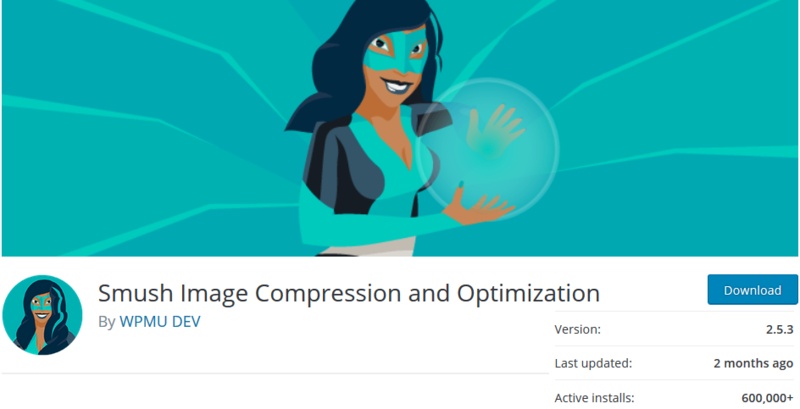 Take care of images optimization with a powerful plugin by a powerful WPMUDEV team – change their size, compress, and publish better optimized images. The plugin works with JPEG, GIF and PNG image files. All standard web-sized images processed by Smush are 1MB or smaller, which are perfect for search engines. The plugin scans every image you upload before adding to Media Library. It also works with WordPress multisite allowing you to easily update all images across the network (available for global and individual settings). One huge plus of the plugin is that it’s very easy in use, so you should not have any troubles setting it up. Lots of users and developers gave their vote for WP Smush, so it won the WordPress Plugins Madness Competition 2017 (that is, it was chosen as the best plugin among others). Congrats! 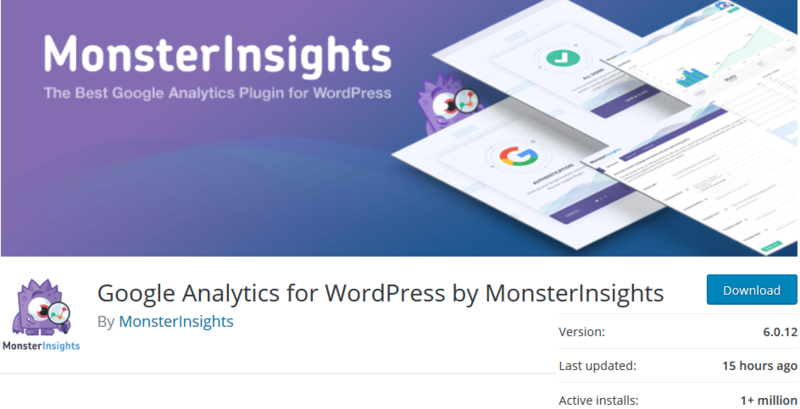 WordPress Google Analytics by MonsterInsights is professional analytics tool for WordPress trusted by a million of users. For some WordPress beginners it may be difficult to set up Google Analytics properly, but this plugin will make this process maximum hassle-free. In other words, you can Google Analytics plugin and track your visits without any technical help. Moreover, the plugin allows you to see all stats of Google Analytics directly from your WordPress dashabord. This WordPress plugin lets you feel yourself a cool information specialist – the tool properly shows all statistics of your WordPress website: all online users, number of visits and actions, bounce rate, organic searchers and more. All this from your WordPress dashboard without going to or signing up to any external resources. All absolutely free of charge. The plugin comes with a built-in caching option taking care of your website speed. The plugin tools are pretty flexible for website administrators: sortable, able to show stats under each post on the frontend. It’s also translation ready, so you can use it in your native language. In addition to all this, you may track user names, emails, etc. For more features you’ll need to go Pro, but even this free version contains pretty good list of features that other plugins may offer only as paid options. That’s all for today, folks! If you got any question or suggestion, we’ll be happy to hear it.